Twin Beaks: I'm one of the MOST WANTED!! 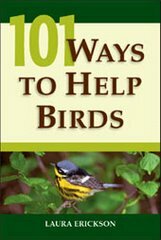 According to a poll of Birder's World readers a few years ago, I was one of the most wanted species birders want to see! Of course I know I'm handsome, but really, guys, anyone with a lick of sense knows that the birds we should most want to see are shrikes, hawks, owls, and other nasty predators--if we don't see them before they see us, it's another bye bye birdie tragedy.